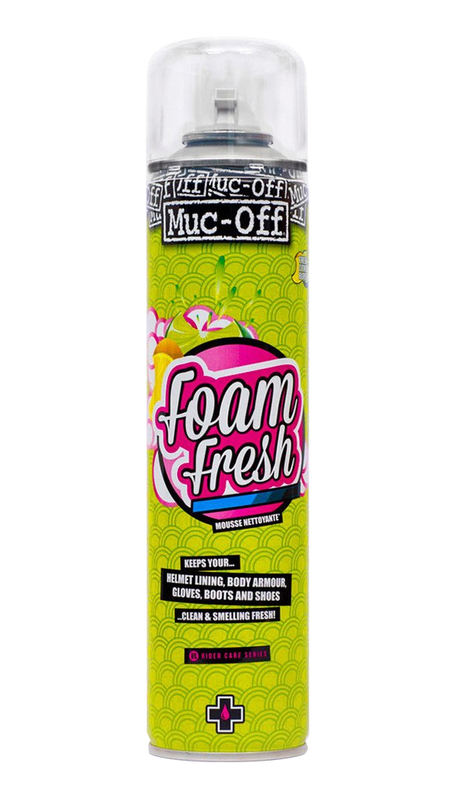 Muc-Off Foam Fresh is a highly effective cleaner for helmet liners and other materials which come in contact with the rider. It features an instant foaming action, which gently agitates dirt and grime away from the surface leaving a fresh citric burst. Even the cleanest riding gear benefits from this product. Use it on pads, gloves, shoes, liners and body armour. Stay fresh out on the dusty trails.